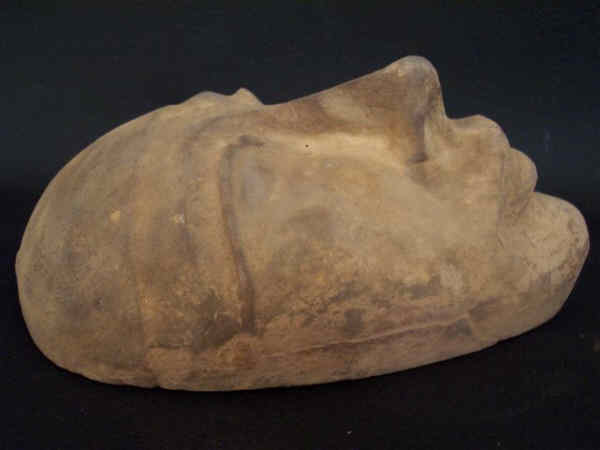 Your Bidding On Ancient Egyptian carved stone death mask ,Represents Ptolemaic Face .made from pottery.during the ptolemaic period.purchased from An antique dealer. 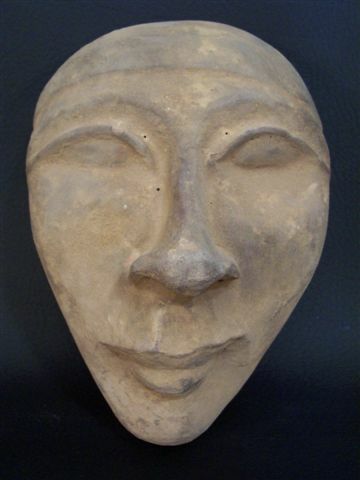 Culture - Period ---> Egypt,Ptolemaic Period. 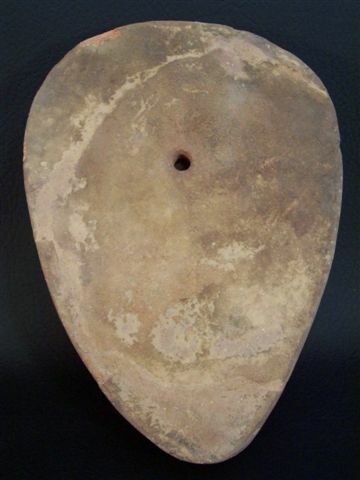 'Appearance dating ---> 105 BC-30 BC. ' Provenance ---> Land of the Pharaohs Egypt, upper Egypt. ' Size ---> height 17.7cm(7 inch)xwidth 12.5 cm(4 7/8 inch) xdepth 7 cm(2 3/4 inch). ' Composition ---> pottery. Our pieces are acquired from various sources: antique dealers who have been working in this field since 1930, private collections and estate sales. All of the information regarding our items have been received from second hand sources. and the timeline set on our items is to be used as a suggestive guideline for the above period listed,. We are also collectors, we tend to take pride in the items we acquire and offer to you! All of the pieces we purchase are exquisite and we present them as they have been represented to us.